Can you afford not to give hypnotherapy a try? Although hypnotherapy offers a profound improvement in quality of life, many still see it as a luxury. So the spending on food, booze, cigarettes and retail therapy continues, while investing in hypnotherapy is regarded as an extravagance. However, research has shown that hypnotic strategies can help with issues such as weight control, addictions like smoking, alcoholism and gambling, depression and anxiety. Can you really afford to not try it out? The conscious mind is pretty restricted in what it takes note of. Even so, the subconscious mind retains some information about everything we have experienced throughout our lives. By working on the subconscious, rather than the conscious mind, a hypnotherapist can help facilitate changes in thoughts, feelings and behaviour by handling the fundamental underlying issues. 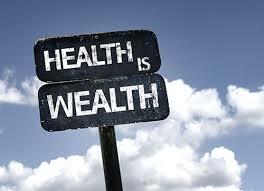 The potential health rewards of investing in hypnotherapy are significant. Quite a few dieters, while determined to slim down and boost their health, find that sticking to a weight control plan is incredibly difficult. It may be hard for them to maintain motivation and overcome declining will power. This is often due to subconscious beliefs and patterns regarding food and weight, which no amount of will power can fully resolve. A hypnotherapist can uncover these issues and use guided imagery and the power of suggestion to re-educate the subconscious, creating the potential for lasting changes in eating behaviour. Those who have addictive habits to things such as cigarette smoking, drinking alcohol or gambling, frequently struggle in the same way as those wanting to lose weight. Even when they make a determined effort to get rid of their habitual behaviours, they just cannot free themselves long-term. Their focus is probably confused. For example, countless smokers use vaping to help them give up smoking cigarettes because they feel that by satisfying the body’s need for nicotine they will be able to quit. Yet, since the obsession stems from the subconscious, the compulsion to smoke is maintained by the nicotine consumption. Overcoming nicotine addiction is much easier when the subconscious is encouraged through hypnotherapy to agree with the conscious desire to stop smoking. Fear and anxiety can result in many issues in a person’s life, as an example, being held back in their occupation or studies by fear of public speaking. The indisputable fact that social anxiety can stop individuals from being promoted at work or from finishing school means that there may be considerable loss of opportunity. Hypnotherapy boosts confidence, inspiring motivation to succeed. The profound beneficial changes possible through the use of hypnosis make it a worthwhile investment in improving health and wellbeing. A clinical hypnotherapist, master NLP (Neuro-Linguistic Programming) and CBT (Cognitive Behavioural Therapy) practitioner based in the South East of England, Karen Martin has many years experience treating a wide range of conditions and disorders. Anxiety in its many forms, from phobias to panic disorders, and behavioural change, like weight management and smoking cessation, are issues she specialises in and has a consistent track record of successfully treating.